Paredes Pedrosa Arquitectos is one of Spain’s leading firms. Characteristic of its work is a pursuit of harmony between the new and the existing, always striving to establish a dialogue with the natural and urban environment and with architecture of the past. The Public Library of Ceuta, for instance, located in this Spanish autonomous city on the north coast of Africa, reflects the irregular footprint of the ancient site from which it emerges. 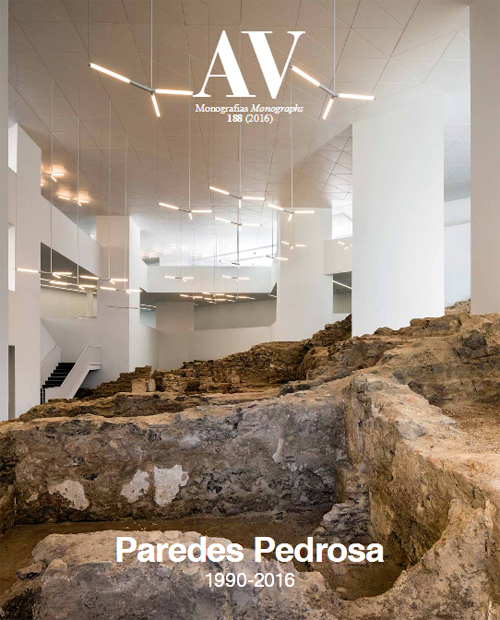 In addition, fifteen works are featured, such as the Town Hall of Valdemaqueda, Madrid’s Valle-Inclán Theatre, the Archaeological Museum of Almería, La Olmeda Roman Villa in Palencia, and the Public Library of Córdoba, among other projects.